"I&apos;m learning most of my makeup tricks and all my techniques from drag queens, honestly," Kat revealed in a previous interview with StyleCaster. Nothing could be further from my aesthetic—I&apos;ve always been on Team Nick Barose when it comes to mask-like, "Instagram makeup." Any yet... I&apos;m inexplicably drawn to Kat&apos;s looks whenever I see her on the red carpet. Maybe it&apos;s because she has one of the most unique faces I&apos;ve ever seen. Wouldn&apos;t you agree? 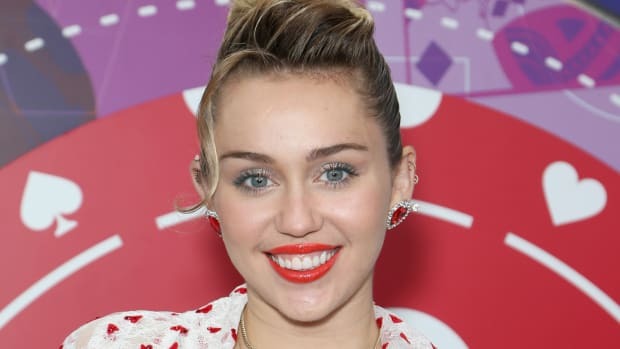 But even her heavy-handed makeup techniques can&apos;t fully explain why she looks different now, compared to a decade ago. Although Kat began her acting career at six years old, she wasn&apos;t spotted on the red carpet until age 19, in 2008. She&apos;s way more fresh-faced in this pic than we&apos;re used to, but you can still see the beginnings of her makeup creativity with the purple and gold eyeshadows. ("I do my own makeup and I have for years," she told Glamour.) Also, here is her original larger nose, thinner brows and darker eye colour. Another look at 19-year-old Kat, before she became hyper-groomed. Her T-zone hasn&apos;t been powdered down and her brows haven&apos;t been drawn on, but she did start her love affair with green contact lenses at this time! With her original nose and brows, her eyes appear smaller than they do today. In 2009, Kat went blonde. Doesn&apos;t this colour look great on her? She is a true beauty chameleon! Everything else still appears natural (except for the contacts, of course). Her skin looks gorgeous; smooth and luminous but not caked with foundation. As you can see, her lips were always full. Kat Graham at Us Weekly&apos;s Hot Hollywood party in 2010. In this shot, it does look like Kat may have gone under the knife. Yes, she has contoured the sides of her nose, but I still say it looks whittled down, especially compared to 2009. I wouldn&apos;t have recognized her here, she looks so feline! Her eyebrows are also a lot lighter than she wears them now. 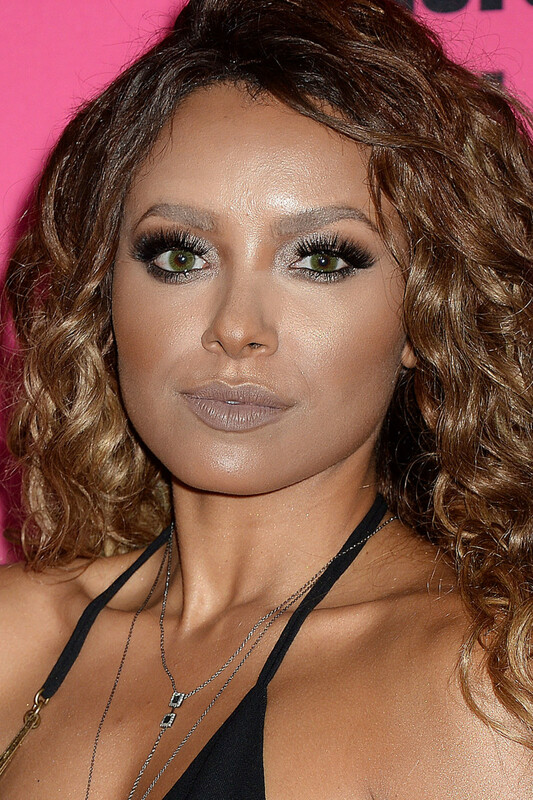 Kat Graham at Us Weekly&apos;s Hot Hollywood party in 2011. Anyone else getting Zendaya vibes? For a brief moment in 2011, Kat had lighter brown hair and matching eyebrows, styled here in waves and worn with bold purple eyeshadow. I&apos;m glad she didn&apos;t keep this hairstyle; it feels too generic and hides too much of her interesting face. By age 23, it was back to black hair and pink lipstick, with a much improved eyebrow game (if not foundation). The most striking thing, however, is the choice of contact lens colour—a bold blue-green that wouldn&apos;t fool anyone into thinking it was her natural hue. I&apos;m always reminded of Adriana Lima when I see straight, black hair and light eyes. Next, Kat flirted with a sandy blonde hair colour. I just adore this straight lob and the neutral makeup palette. She&apos;s still wearing a lot, but the effect is softer and warmer. Thankfully, she returned to her more natural green lenses because the blue would&apos;ve been way too much. This one&apos;s a favourite of mine. As Kat&apos;s star rises, her makeup is really starting to lighten up. I prefer this natural hair colour, and love how she looks with the super-tight top knot that few can pull off. Her skin finish is much improved, with a better shade match and less obvious contour, and her eye makeup is a lot more delicate. We can also see her new nose front-on; she has retained its original shape but the tip is shorter and less bulbous. This is such a pretty shot as well. Kat&apos;s new, shorter haircut is fabulous; I love the way it&apos;s casually pushed off her face to show off her perfect heart shape. Her brows aren&apos;t quite so dramatic here, but she&apos;s still playing with the contacts, contouring and multi-coloured eyeshadow. Here&apos;s possibly the best example of Kat&apos;s drag-inspired makeup—and how you still can&apos;t take your eyes off her. The Ombré brows and greige lips aren&apos;t my favourite, but her skin looks so radiant! And those waves! It is truly amazing how much she can wear without it overpowering her. And now for something different... Kat returned to her slicked-down crop for this glamorous lip- and brow-based look. It really works with the glossy Ombré lipstick. Although her lips do look bigger, I think it&apos;s just overlining and not any injection work. Kat Graham at the 2016 People&apos;s Choice Awards. A year later, Kat went even shorter. (I love short hair on this woman!) Did you notice any other changes in this photo? I&apos;m wondering if her nose isn&apos;t even smaller and narrower. Then again, it could be that highlight on the tip throwing me off. What the what?! For this event, Kat donned a big, curly brown wig and really committed to the drag queen makeup. I&apos;m not sure what the thought process was behind the matching grey lips and eyebrows. (Even her foundation looks more grey again, but I know the foundation-matching struggle is very real!) If you look at her nose, it&apos;s extra-chiseled now. Finally, we&apos;re in 2017; Kat will be 28 this year. Sorry not sorry—I love these red glitter lips! It really is perplexing how the white waterlines and #kelleybakerbrows still don&apos;t ruin this look for me, when I&apos;d find them too contrived on anyone else. Kat, you are one of a kind! Looking at Kat&apos;s face from the exact same angle in 2008 and 2017, it&apos;s quite obvious that she had some work done to her nose—maybe more than once? She was gorgeous before, but my goodness, that one little tweak was SO transformative. 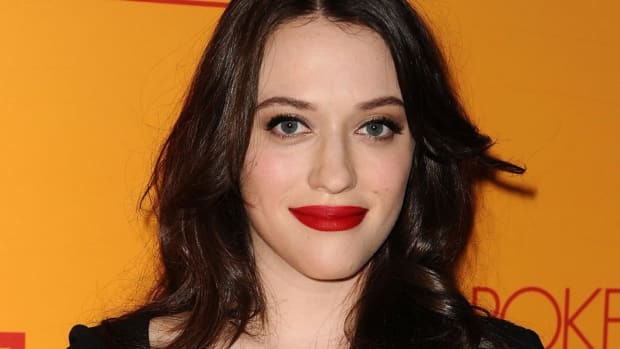 It completely shifted the focus to her eyes and lips (which is why so many actors get nose jobs), and really brought out her unique beauty. I can&apos;t think of anyone she really resembles, which has to be a huge advantage in her competitive line of work. By Hollywood standards, her one intervention could be considered downright conservative. I think her skin tone changes because she is biracial, and I can&apos;t see any evidence of injection work. Instead, Kat relies on hair and makeup to switch things up. As much as I personally eschew these heavier looks, they are fantastic on her—and I&apos;d MUCH rather see this than inflated cheeks and swollen lips! 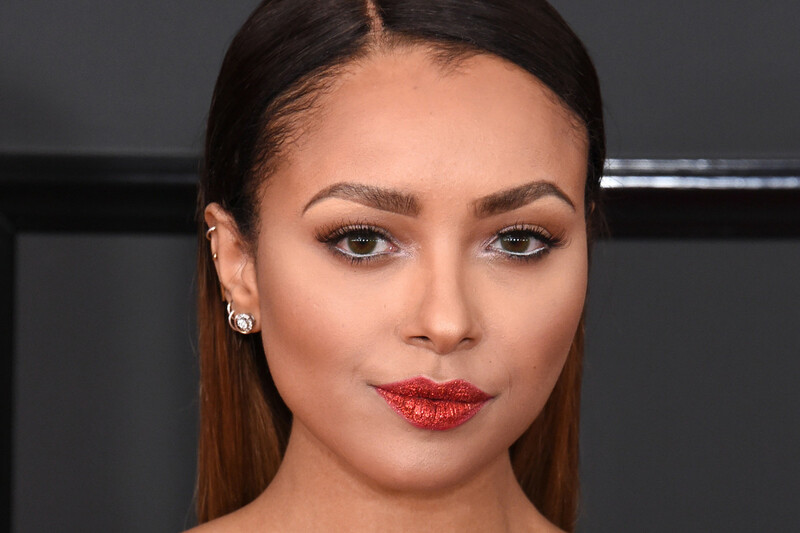 Close-up of Kat Graham&apos;s green contact lenses. Nope, these green eyes aren&apos;t natural! 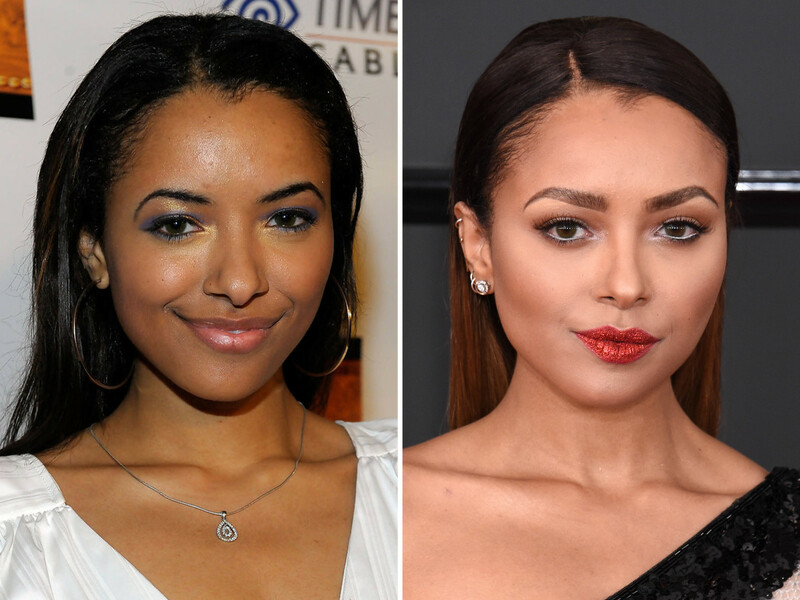 How do you feel about Kat&apos;s beauty evolution?